With this article, I will open a series of my stories about the most beautiful cities in Italy. 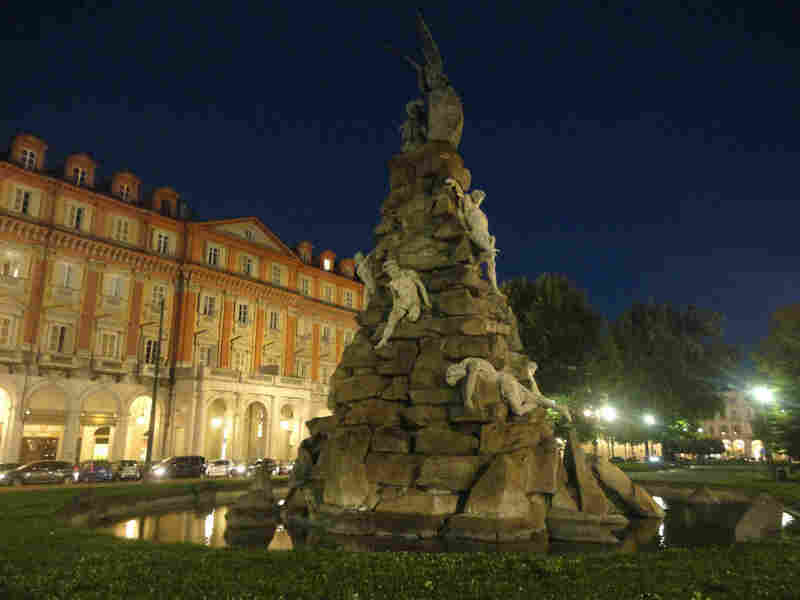 One of the most beautiful cities in Italy, Turin, certainly deserves the closest attention, thanks to its artistic and architectural beauty and its rich history, which fills its streets, medieval village, historical squares, royal palaces, museums, which representing the unique works of art ... This is a unique city that you can discover for yourself again and again. Turin is a city with thousand of faces, the old capital of the Kingdom of Savoy, the city of magic and of the great historical events of the past, and today it is an industrial city that combines two parallel worlds: on the one hand, it is a modern city of high technologies, and on the other - a city with a magical story. 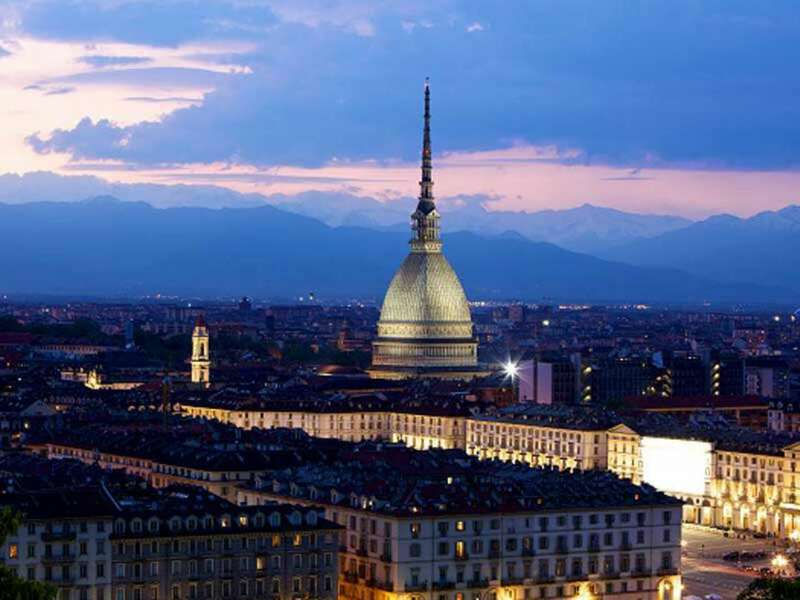 Turin, the capital of the Piedmont region, is called the city of angels and demons. The city, whose history is more than two thousand years old, is full of secret signs and magical symbols, here is stored the Holy Shroud of Jesus Christ and, according to the belief, here is opens the gate to hell. Here, at the foot of the Western Alps, passes the Golden Section of our planet - the 45th parallel, equidistant from the Equator and the North Pole, which, according to the esotericists, incredibly enhances the energy of this land; the city is in the zone of intersection of positive and negative energy flows. As is commonly believed, together with Prague and Lyon, Turin forms a triangle of White Magic, and together with London and San Francisco - the triangle of Black Magic. Some researchers are skeptical about such statements, but everyone agrees: Turin is a city for the initiated. 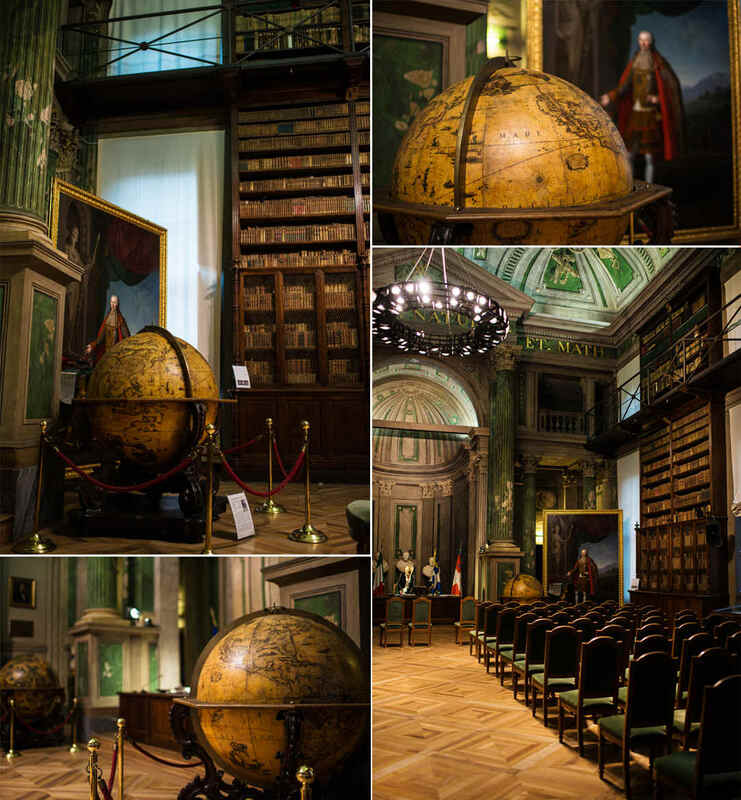 For many centuries, mystics, alchemists, astrologers and clairvoyants from all over Europe, including such important figures as Paracelsus, Count Cagliostro and Saint-Germain, came here. Michel Nostradamus himself saw in Turin "Paradise, Hell and Purgatory" - here, in the now-destroyed Villa Morozzo, the great prophet lived almost the entire 1556 year. Magical Turin is hidden from the eyes of tourists - it is hidden deep underground, in a labyrinth of tunnels, underground jails, crypts and caves, presumably arranged during the time of the Inquisition. 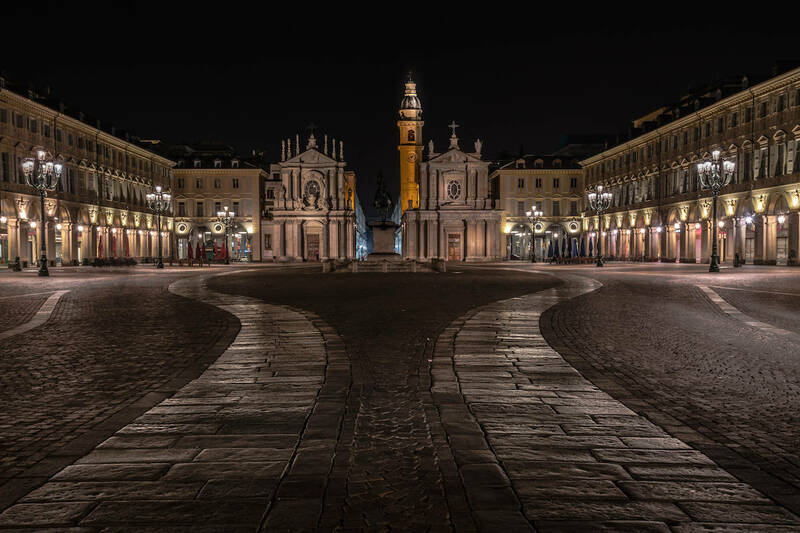 The "black heart" of Turin - Piazza Statuto - is located exactly on the site of ancient Roman burial places, known as Vallis Occisorum - "Valley of the Fallen". Here, on the border with the wild, not yet enslaved by Gaul, the ancient Romans appeared in 28 BC. 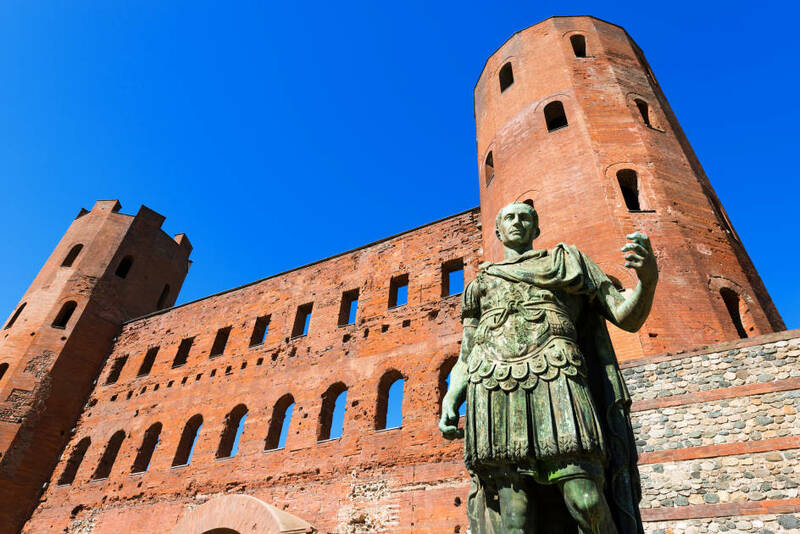 The military camp Castra Taurinorum built by them has turned into a real big city, named after the Augustus Augustus Taurinorum, in just one century. There are suggestions that the choice of a place for the northern outpost of the vast Roman Empire was dictated solely by considerations of a mystical and religious nature. The fact is that here merge two rivers - the Po river and the Dora river, which, according to legend, symbolize the Sun and the Moon, and, thus, provide the city with double protection, given both by dark and light forces. But not only the fear of disturbing the shadows of Roman legionaries makes Turin's inhabitants to bypass the Statuto Square by the side. In the late Middle Ages there were the public torture and executions, bloody mutinies ... and again executions. The main attraction of this "accursed" square and its energy center is the Frejus fountain, established in memory of the workers who died during the construction of the railway tunnel of the same name in the Alps. The fountain has the form of a pyramid, built of rough stone, surrounded on all sides by the figures of suffering Titans. The top of the pyramid is crowned by an angel, but the locals see in this winged statue of Lucifer himself - a fallen angel expelled from Paradise. At the base of the fountain is hidden a sealed hatch, nicknamed in the people "Gateway to Hell." According to rumors, from here begins a secret underground passage leading to the temple of apostate warlocks. 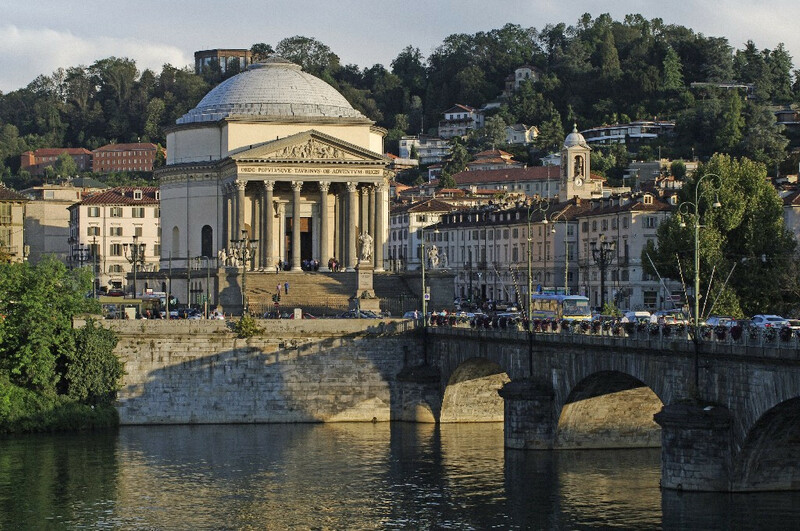 The border of Black Turin and WhiteTurin is at the foot of the Monte dei Cappuccini (Capuchin Hill), under the dome of the majestic church of Gran Madre di Dio (Great Mother of God), erected on the banks of the Pau River in commemoration of the fall of Napoleon's empire and the return to Turin of the legitimate king of Savoy - Vittorio Emmanuele I. In the style of its architecture, the church resembles the Roman Pantheon, and, what is noteworthy, it was erected exactly on the site where originally stood from ancient times the temple of the goddess Isis - the cult of the ancient Egyptian goddess of fertility and maternity was also distributed e and among the pagan-Romans. It is no accident, probably, esotericists believe that in reality this Catholic temple is also dedicated to the pagan female deity - the Great Mother, the Woman's Beginning. On both sides of the staircase, rising to the Gran Madre di Dio church from the embankment of Po river, two statues are installed, symbolizing Faith and Religion. One of them holds a cup in his left hand, symbolizing the Holy Grail, as a token of affirmation that the cup of Christ from which he drank wine during the Last Supper on the eve of the crucifixion and in which Joseph of Arimathea collected blood from the wounds of the crucified Savior, in other words, the Holy Grail , which is unsuccessfully looks for everywhere for the second thousand years, is exactly here, in Turin. The second statue points to the direction in which the Grail is allegedly hidden, but the finger pointing the right direction is mysteriously missing... The Grail has been looking for many centuries because it will grant anyone who has drunk from it the forgiveness of all sins and the eternal life. It is believed that the Holy Grail is hidden somewhere in the hills surrounding Turin, after it was brought here at the end of the XVI century together with the Shroud. According to another version, the relic is buried under the walls of the temple itself, or is stored in one of its secret underground rooms. The secret of the location of the Grail can be reveal only by solving a series of intricate puzzles scattered throughout the city. The quest for the Grail in places marked by Masonic signs is very popular. 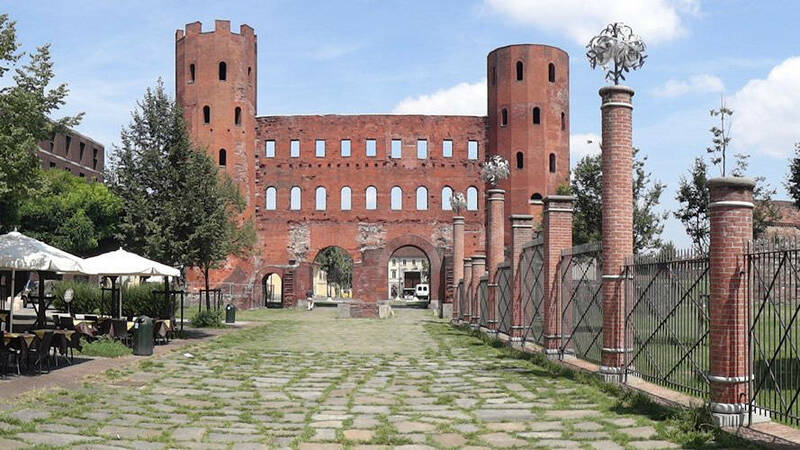 Porta Palatina is the ancient gateway to the city of Augusta Taurinorum, now called Turin. Built in the I century b.c., as an entrance gate between the protective walls, surrounding the city, opening access to the city from the north. This is the only Roman building in the world, preserved so well. Near the gate are the ruins of the Roman amphitheater. 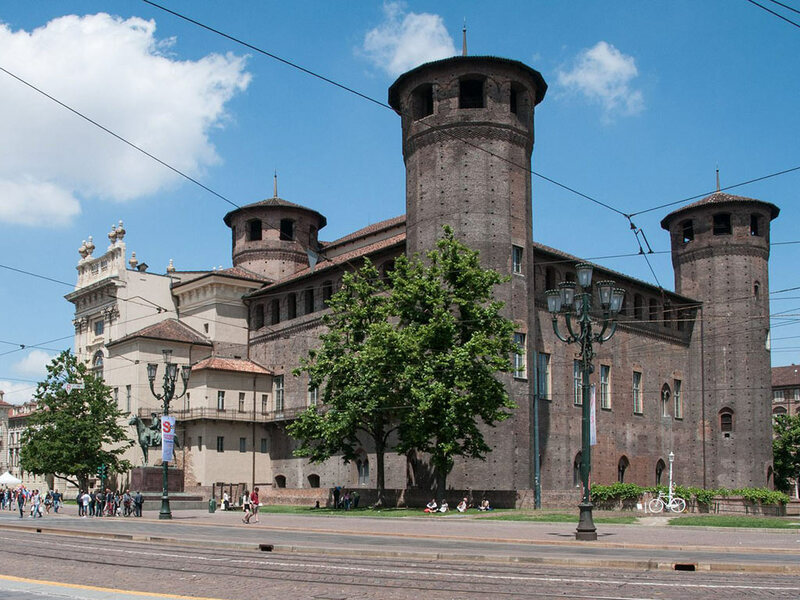 Piazza Castello, the central square of Turin, on which the royal palace (Palazzo Reale) is located, as well as the Palazzo Madama palace complex built on the site of the ancient Roman camp. The facade of the palazzo, completed in 1721 - a sample of the North Italian baroque. The back of the building retains the look of a gloomy medieval castle, with round towers on the corners that it acquired in the 15th century. 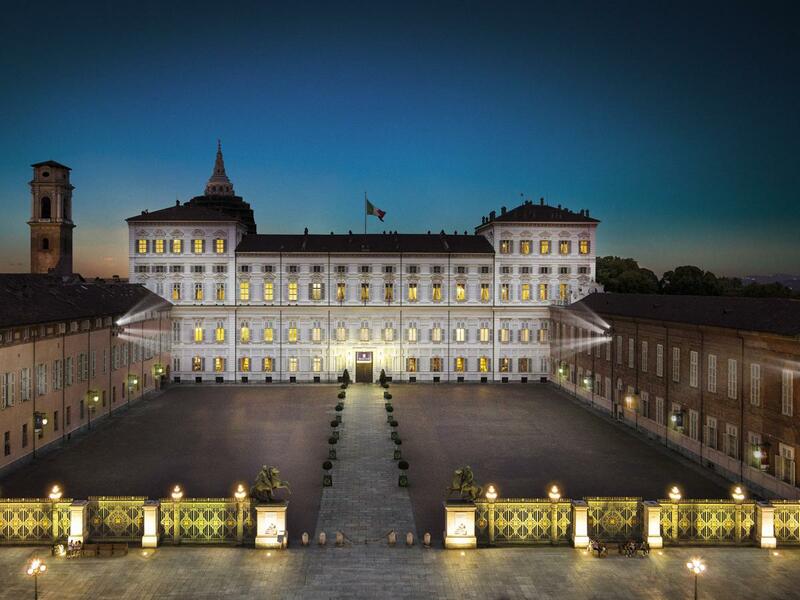 At various times the palace served as the residence of the younger branch of the Savoy House, the widowed queens (hence the name), for the accommodation of the monarch's guests, as the seat of the royal art gallery, the Piedmontese parliament and the supreme court. Among other residences of the Savoy dynasty, the Palazzo Madama is under the protection of UNESCO as a monument of the World Heritage. Valentino Park and the reconstructed medieval village (borgo) are magnificent in their unique beauty. Valentino Park, populated with hand-made squirrels - a masterpiece of landscape art - stretches along the Po River for several kilometers. His name he received from the castle of Valentino (Castello del Valentino), where the architectural faculty of the university is now located. 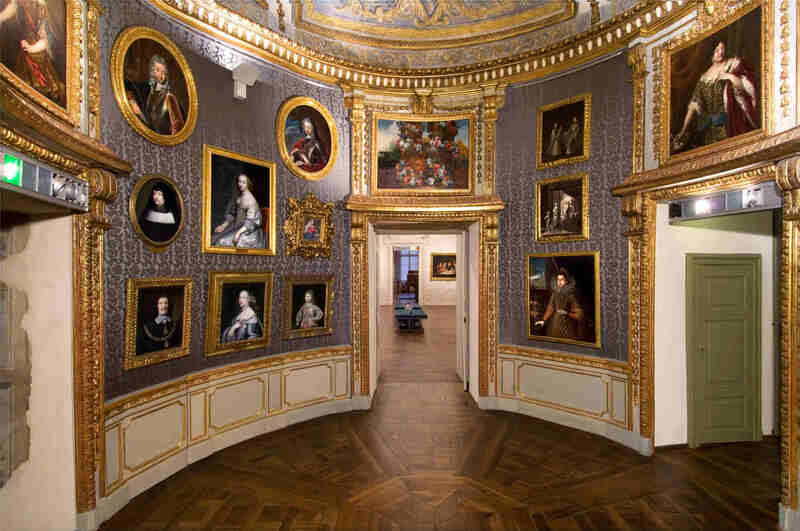 Once it was one of the many residences of the Savoy Royal Dynasty. At the other end of the park there is a "medieval village" with a castle, reconstructed in 1884. Mole Antonelliana - a building with a steeple 167.5 meters high, built in the XIX century by the architect Alessandro. 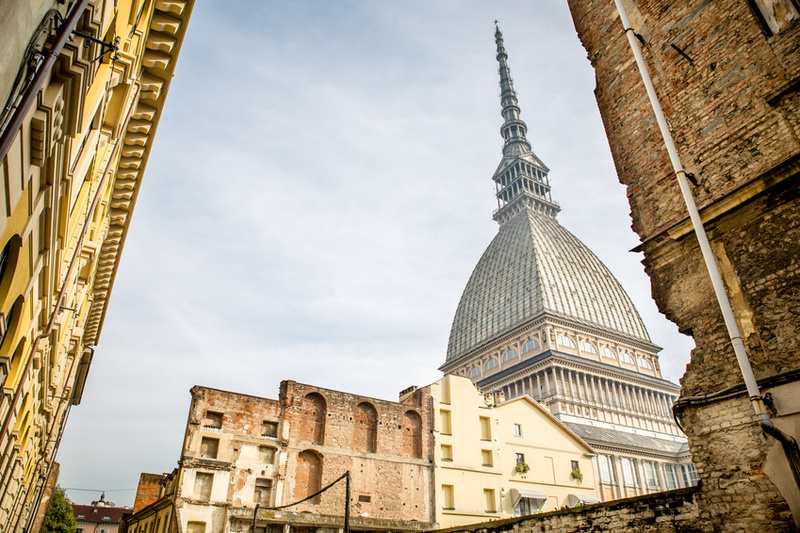 Like the Paris Eiffel Tower, the building eventually became perceived as a symbol of Turin. Now it houses the National Museum of Cinematography. To this day, the Mole Antonelliana remains the tallest brick building in Europe. 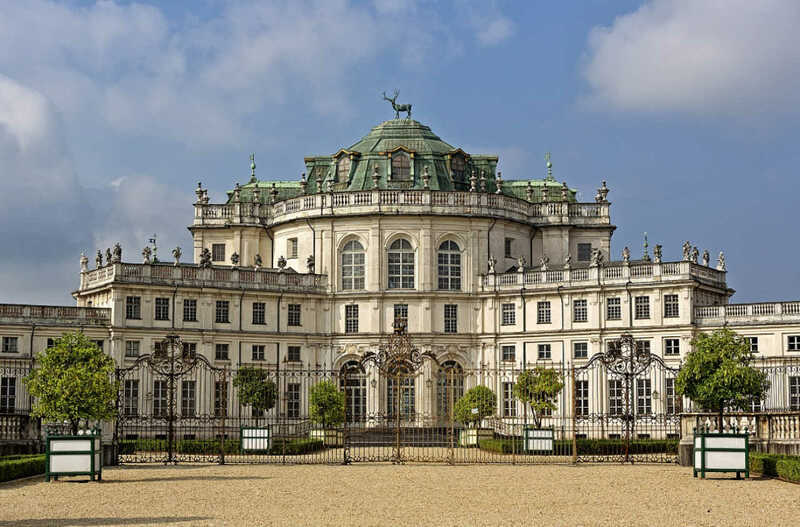 The palace complex Stupinigi is a suburban hunting residence of the monarchs of the House of Savoy. 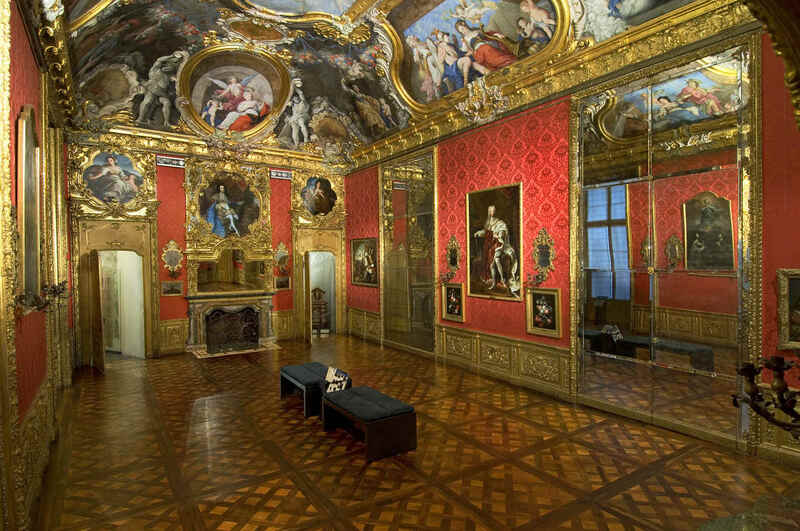 In our time it houses the Museum of Art and Furniture, part of which is from the Stupinigi Castle itself, and the other from the former Savoy residences in Moncalieri and Venaria Reale. The ten-kilometer alley, now turned into a wide freeway, leads from the honorary court of the hunting loggia Stupinigi along a straight line to Turin to the Porta Nuova and further to the Royal Palace - the Palazzo Reale. 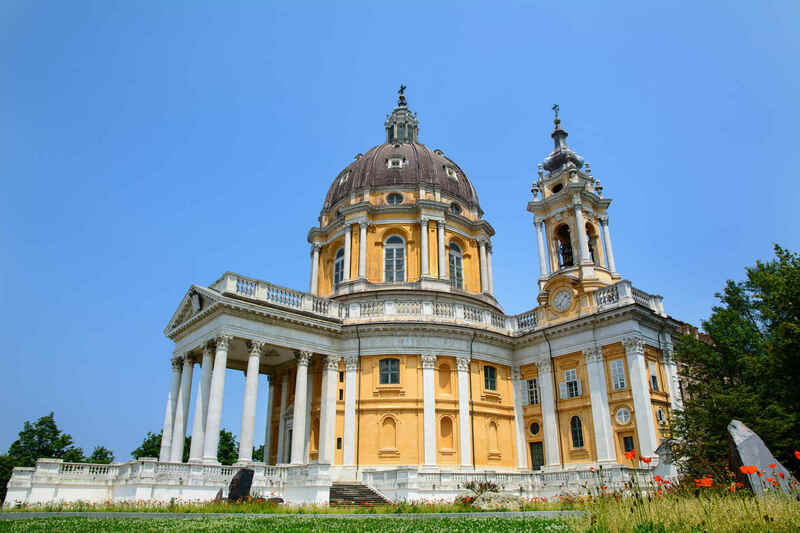 Superga - Catholic basilica, towering above Turin on top of the hill of the same name, from which opens a panorama of the whole city surrounded by the ring of the Alps and hills. Here, in 1706, the future Sardinian king Vittorio Amedei II and his cousin Eugenio of Savoy watched the siege of the city by the French and the Spaniards. In the event of a successful outcome of the battle, they vowed to erect a temple on this place. 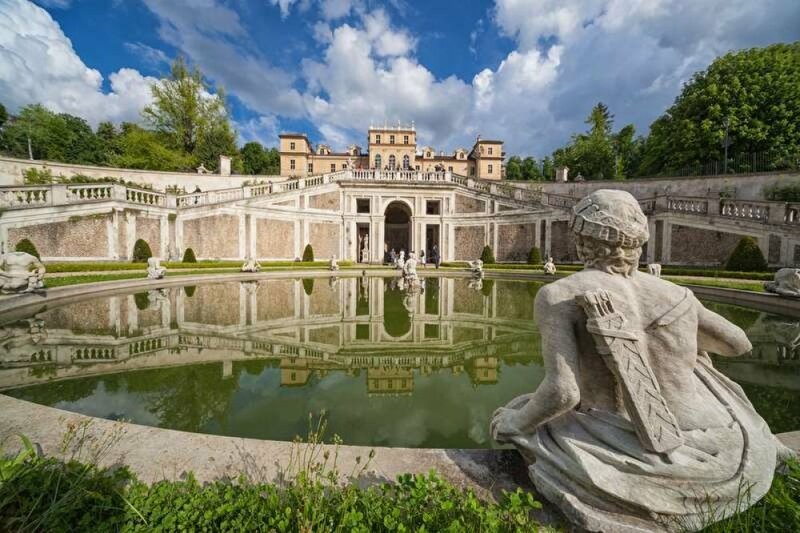 The construction of a magnificent dome structure began in 1717 by architector Filippo Juvarr. In the basilica are buried all the Piedmontese kings, beginning with Vittorio Amedei II. The square of Vittorio Veneto is Italy's largest square, and of cities of Europe too; its size is 360 m in length and 111 in width. 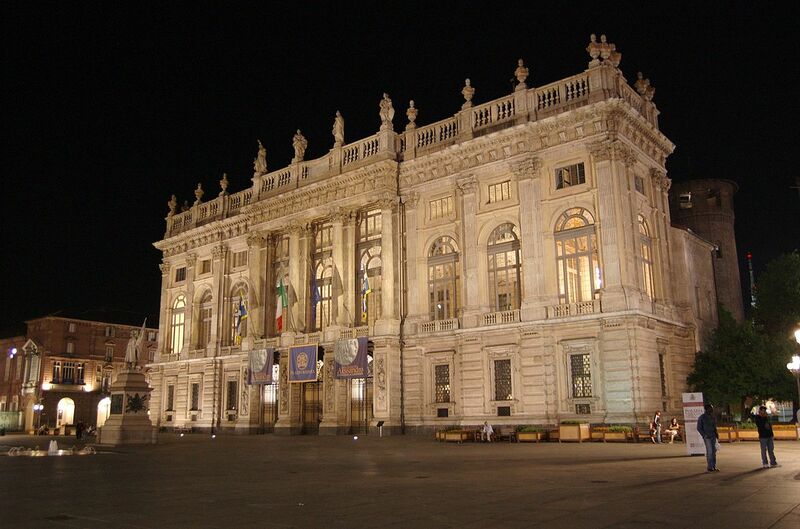 It is located in the center of Turin and is one of the most popular places. Around the square there are buildings of different architectural styles. Historically valuable buildings surround the square on three sides. The square has a rectangular shape; the side, not occupied by historical buildings, opens a picturesque landscape on the river Po and on the Cathedral of Gran Madre di Dio standing on the other bank of the river. On dates, significant for the city and for the country, the area becomes a venue for concerts, festivals, theater performances and other cultural events. 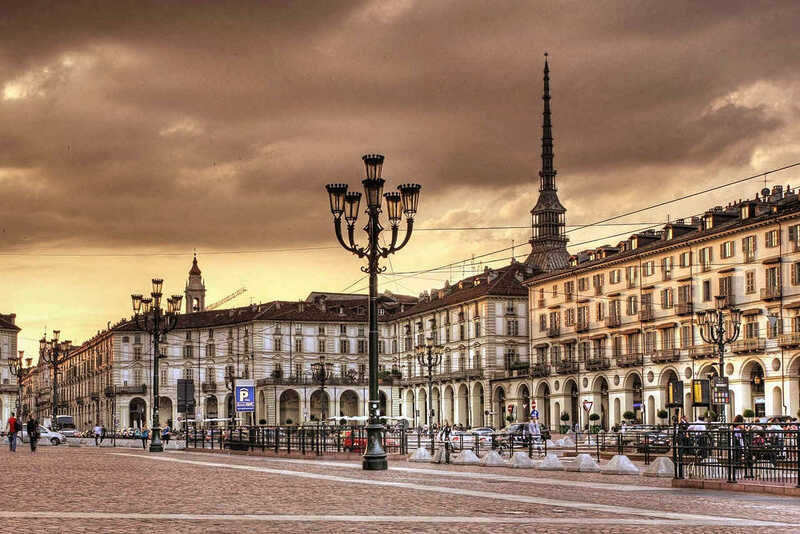 Piazza San Carlo is the most beautiful square in Turin, it is often called the heart of the city. A huge area (its length is 168 m and its width is 76 m) is often used by townspeople for various kinds of events, such as celebrating the victories of the football team "Juventus". In the past, the area was called differently: the Royal Square, and the Armory Square, and Napoleon Square. The square received its present name from the church of St. Carlo, built here in the early 17th century. In its current form, the square was formed in the early 17th century, with the active participation of the architect Carlo di Castellamonte. The square at that time was formed by the paired temples standing in its south: the Church of St. Carlo (Chiesa di San Carlo, 1619) and the Church of Saint Cristina (Chiesa di Santa Cristina, 1639), and on the east and west side - beautiful palaces with long facades with porticos. 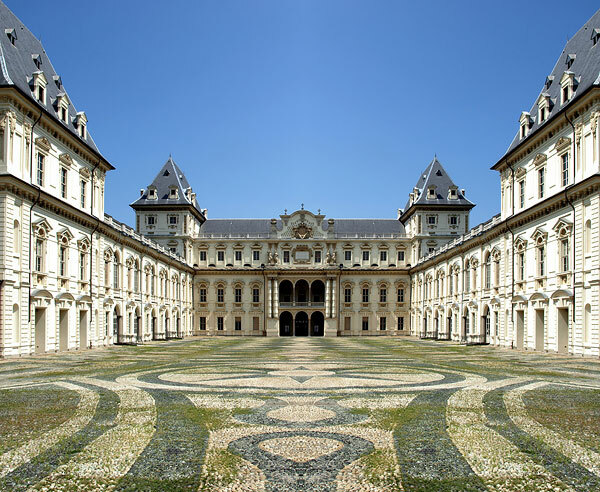 In Turin there are so many great locations for celebrating a romantic wedding, it is very difficult to be able to list them in one short article, they are all unique in their kind. In the medieval village of Borgo Castello, you can celebrate your wedding in a pretty garden, or in the Baronale Hall, if the weather is not ideal for an outdoor wedding. 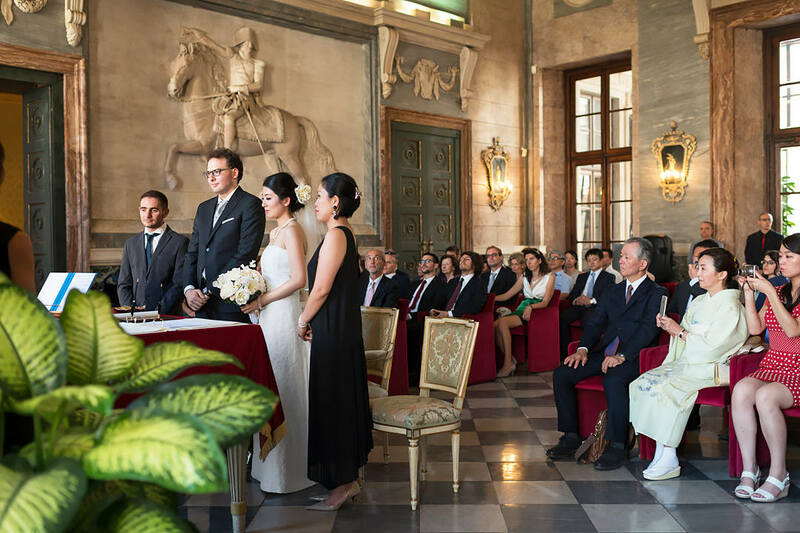 One of the most popular places to celebrate the wedding is the Carignano Theater, you can celebrate your wedding on the stage of a real theater, turning it into a theatrical performance; there is also a hall for a further banquet in the column hall of the theater. It's incredible, but the fact is - you can also celebrate your wedding on the outer upper terrace of the Turin "eiffel tower" - the Mole Antonelliana, from where a magnificent panorama of the whole city opens. This was the first article in a series of my stories about the most beautiful cities in Italy.